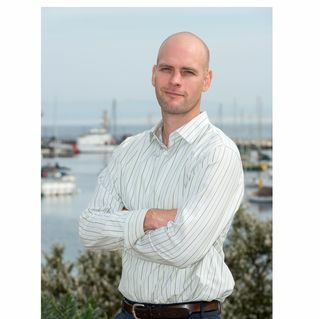 Ryan Bigelow oversees operations for the Seafood Watch program. He's responsible for public-facing activities and amplifies business, science and policy strategies. Ryan is part of the Seafood Watch Leadership Team and he also manages the Seafood Watch Program Engagement Team, which is responsible for technical platforms, online content and social media, as well as consumer guides, newsletter publications, events and the Conservation Partnership program. Ryan represents Seafood Watch among the NGO community, including broader collaborations working to promote sustainable seafood, such as the Conservation Alliance for Seafood Solutions and the Global Seafood Ratings Alliance. Before joining the Monterey Bay Aquarium eight years ago, Ryan lived and worked in Japan, translating and interpreting for the Japanese government during the World Exposition and lead-up to the Convention on Biological Diversity. Ryan has a Master’s degree in International Environmental Policy from the Middlebury Institute of International Studies.